I’ve been working hard on this website redesign and launching my first book (and the floor was always lava, available May 9), and in doing so, I found this blog that was never published from November 2012. It got caught in “draft-purgatory” on my phone. 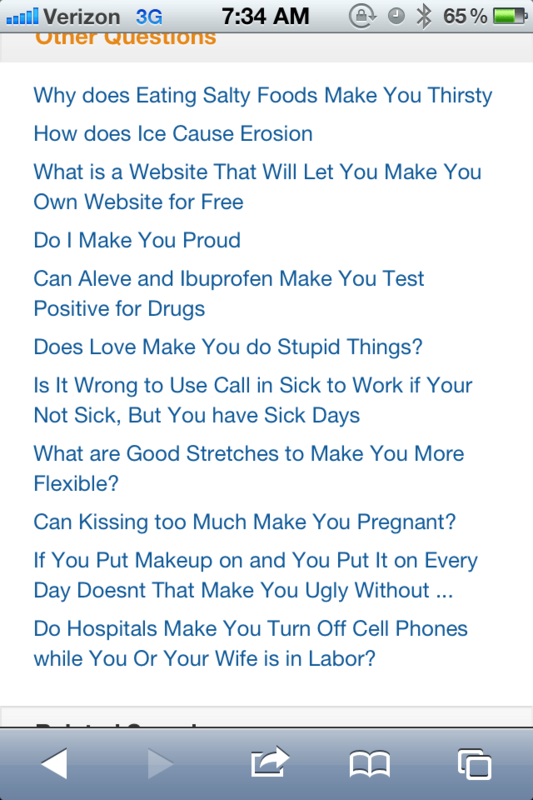 This is a list of “related questions” that came up after I googled “symptoms of a stomach virus.” A few of these made me laugh. And a couple of these just made me sad.